There once was a farmer who discovered that he had lost his watch in the barn. It was no ordinary watch because it had sentimental value for him. After searching high and low among the hay for a long while; he gave up and enlisted the help of a group of children playing outside the barn.He promised them that the person who found it would be rewarded. Hearing this, the children hurried inside the barn, went through and around the entire stack of hay but still could not find the watch. Just when the farmer was about to give up looking for his watch, a little boy went up to him and asked to be given another chance. The farmer looked at him and thought, “Why not? After all, this kid looks sincere enough.” So the farmer sent the little boy back in the barn. After a while the little boy came out with the watch in his hand! The farmer was both happy and surprised and so he asked the boy how he succeeded where the rest had failed. A peaceful mind can think better than a worked up mind. Allow a few minutes of silence to your mind every day, and see, how sharply it helps you to set your life the way you expect it to be! A man was exploring caves by the seashore. In one of the caves he found a canvas bag with a bunch of hardened clay balls. It was like someone had rolled up clay and left them out in the sun to bake. They did not look like much, but they intrigued the man so he took the bag out of the cave with him.As he strolled along the beach, to pass the time, he would throw the clay balls one at a time out into the ocean as far as he could throw. He thought little about it until he dropped one of the balls on a rock and it cracked open. Inside was a beautiful, precious stone. Excitedly . the man started breaking open the remaining clay balls. Wow…..each of them contained a similar treasure! 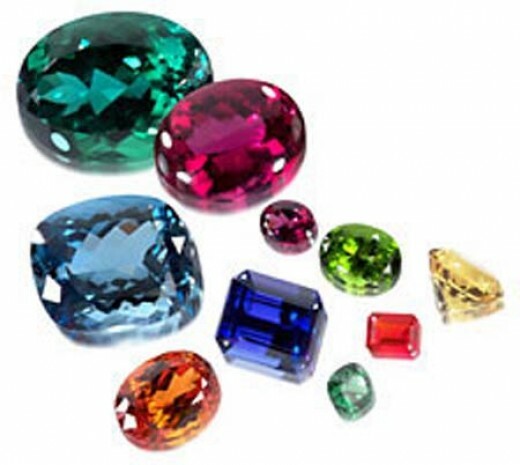 He found thousands of dollars worth of jewels in the 20 or so clay balls he had left…….and then it struck him! He had thrown maybe 50 or 60 of the clay balls with their hidden treasure into the ocean waves. Instead of thousands of dollars in treasure, he could have taken home tens of thousands…..but he had just thrown it away. It is like that with people. When we look at someone…. maybe even ourselves….all we see is the external ‘clay’ vessel. It may not look like much from the outside….it may not be beautiful or sparkling, so we decide to ignore it. We see that person as less important than someone more beautiful or stylish…… or well known or wealthy. But we have not taken the time to find the treasure hidden inside that person. If we take the time to get to know that person, then the clay begins to peel away and the brilliant gem begins to shine forth. Don’t be judgmental… Start today… there is a gem hidden in every person you come across…. Snippet- When people say YOU CANT! The young man was climbing the hill, slowly a step at a time. His bowed head seemed to indicate that something was bothering him. Perhaps he was lonely, or discouraged. He was coming to seek guidance from the wise man that lived on the hill on the outskirts of town. Entering the counselor’s house, the young man found him reading, deep in thought. The young man held onto the ring tightly and upon reaching the market place, went from stall to stall, offering it in exchange for cash. The fruit seller ignored him. The clothes merchant told him that he was not interested. The farmer selling chickens continued to bargain with a customer and waved him away. 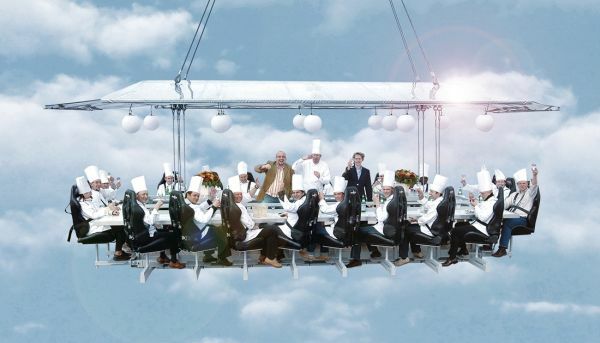 Talk about thinking out of the box….. Here’s going a step further….Sky Restaurant in Belgium. How about dining at 150 ft in the air…. The restaurant serves 22 people and is specially designed with tables and chairs which are lifted by a crane. Amazingly at a price of £10,000 this restaurant can be driven to any desired location one wishes to eat at. The only advice while eating here is Buckle up and hold on to your fork and spoons. The young man stood in the pasture awaiting the first bull. The barn door opened and out ran the biggest, meanest-looking bull he had ever seen. He decided that one of the next bulls had to be a better choice than this one, so he ran over to the side and let the bull pass through the pasture out the back gate. The barn door opened again. Unbelievable. He had never seen anything so big and fierce in his life. It stood pawing the ground, grunting, slinging slobber as it eyed him. Whatever the next bull was like, it had to be a better choice than this one. He ran to the fence and let the bull pass through the pasture, out the back gate. The door opened a third time. A smile came across his face. This was the weakest, scrawniest little bull he had ever seen. This one was his bull. As the bull came running by, he positioned himself just right and jumped at just the exact moment. He grabbed… but the bull had no tail! Life is full of opportunities. Some will be easy to take advantage of, some will be difficult. But once we let them pass (often in hopes of something better), those opportunities may never again be available. So always grab the first opportunity. What would you choose? Clinging on to fear or faith? The story tells about a mountain climber,who wanted to climb the highest mountain. He began his adventure after many years of experience ,but since he wanted the success just for himself,he decided to climb the mountain alone. His climbing was going well and everything was ok till the very night that the mishap took place. That night the moon and the stars were covered by the clouds and the man could not see anything .As he was climbing only a few feet away from the top of the mountain ,he slipped and fell. When he was falling with swift speed,the climber could not see anything but black spots, and he went down. During the falling all of the good and bad scenes of his life came to his mind.He was thinking about how death was getting close. There was a moment of silence and the man decided to hold on the rope with all his strength. The next day the climber was found dead and frozen,his body hanging down from the rope and his hands holding the rope only Three feet away from the ground! How often do we let our fears win? If fear is cultivated it will become stronger, if faith is cultivated it will achieve mastery. Something really inspiring I came across…. Infosys Technologies is one of the few Indian companies that have changed the way the world looks at India. No longer is India a land of snake charmers and beggars. It is now perceived as an economic giant to reckon with, bursting with brilliant software engineers and ambitious entrepreneurs. And Infosys is an symbol of India’s information technology glory. Infosys has many firsts to its name: The first Indian firm to list on Nasdaq; the first to offer stock options to its employees. . . The company crossed $1 billion in revenues for the first time in 2004. TCS, however, was the first Indian IT firm to top $1-bn in revenues. Infosys is an organisation that inspires awe and respect, globally. On July 2, Infosys completed 25 years in existence. The idea of Infosys was born on a morning in January 1981. That fateful day, N R Narayana Murthy and six software engineers sat in his apartment debating how they could create a company to write software codes. Six months later, Infosys was registered as a private limited company on July 2, 1981. Infosys co-founder N S Raghavan’s house in Matunga, northcentral Mumbai, was its registered office. It was then known as Infosys Consultants Pvt Ltd.
What was the company’s starting capital? US $250. Murthy borrowed $250 from his wife Sudha to start the company. The front room of Murthy’s home was Infosys’ first office, although the registered office was Raghavan’s home. Who were Murthy’s six friends who joined hands to launch Infosys? Nandan Nilekani, N S Raghavan, S Gopalakrishnan, S D Shibulal, K Dinesh and Ashok Arora. Are all of them still the founding directors? Murthy is currently chief mentor and chairman while Nilekani is the chief executive officer and managing director. Gopalakrishnan, Shibulal and Dinesh are directors. Raghavan retired as joint managing director in 2000. He is currently the chairman of the advisory council of the N S Raghavan Centre for Entrepreneurial Learning at the Indian Institute of Management, Bangalore. Ashok Arora worked for the company till 1988 and left after selling his shares in the then unlisted company back to the other promoters. He moved to the United States where he now works as a consultant. — An excerpt from Sudha Murthy’s reminiscences. She is the wife of Infosys founder N R Narayana Murthy. Those days, Murthy wanted to do something with his life, but he had no money. Murthy was married to Sudha on February 10, 1978, while he was working with Patni Computers. In 1981, it was Murthy’s idea to start Infosys. Murthy had a dream, and no money. So Sudha gave him Rs 10,000, which she had saved without his knowledge. Murthy and his six colleagues started Infosys in 1981. 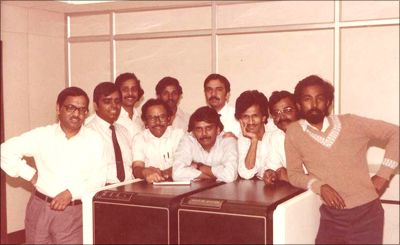 No, it was not in Bangalore, but in Pune that Infosys set up its first office, in 1981. The house that Murthy and Sudha bought with a loan became the first Infosys office. As Murthy ran Infosys, Sudha took up a job as a systems analyst with the Walchand Group of Industries to support their household. The first years of Infosys were not smooth. Most of the founders — Murthy, Nilekani, Dinesh, Shibulal and Gopalkrishnan — were into writing codes. And they wanted to make an impact in the American market. So Infosys got its first joint venture partners in Kurt Salmon Associates. Gopalakrishnan, who had spent time working in the United States, was the public face of the KSA-Infosys venture in America. But the joint venture collapsed in 1989, leaving Infosys in the lurch. Gopalakrishnan relives the memories of those days. “We had nothing after eight years of trying to bring up a company. Those who studied with us had cars and houses,” he says. The collapse of the KSA joint venture led Infosys to its first crisis. The company was on the verge of collapse. One of the founder-partners — Ashok Arora — was dejected with the way the company was going, and decided to quit. The others did not know what to do. But Murthy had the courage of conviction. ‘If you all want to leave, you can. But I am going to stick (with it) and make it,’ Murthy told them. The other partners — Nilekani, Gopalakrishnan, Shibulal, Dinesh and Raghavan — decided to stay. And thus began to germinate the seeds of Infosys’ enormous growth. It is said that Infosys began getting big breakthroughs from the US market. How? The initial foray of Infosys into the US market was through a company called Data Basics Corp as a ‘body-shop’ or on-site developer of software for US customers. Later, Infosys formed a joint venture with Kurt Salmon Associates to handle marketing in the United States. Even today, Infosys derives about two-thirds of its revenue from the United States, serving corporate clients like Reebok, Visa, Boeing, Cisco Systems, Nordstrom and New York Life. Infosys is the largest publicly traded IT services exporter in India, providing services to 315 large corporations, such as GE and Nortel, predominantly in the USA. It was the first Indian company to list on the Nasdaq stock exchange in 1999. And the other Infosys group companies? Progeon Ltd: The Infosys BPO arm. Infosys Technologies (Shanghai) Company Limited: The company’s base in China. Infosys Australia Pty Ltd: Infosys’ Australian venture. Infosys Consulting Inc: The company’s foray into the consulting business. In the last 25 years, Infosys has been growing and growing. Today, Infosys is India’s second largest software exporter. It now enjoys a strong liquidity position with over Rs 6,000 crore (Rs 60 billion) in assets, including surplus cash. During 2005-2006, the Infosys internal cash accruals more adequately covered working capital requirements, capital expenditure and dividend payments leaving a surplus of Rs 1,612 crore (Rs 16.12 billion). As on March 2006, the company had liquid assets including investments in liquid mutual funds of Rs 4,463 crore (Rs 44.63 billion). This collectively makes the liquidity strength of Infosys at Rs 6,078 crore (Rs 60.78 billion). Where are these funds parked? These funds have been deposited with banks, highly rated financial institutions and in liquid mutual funds. Infosys last year derived an average yield of 4.48 per cent (tax free) from these investments. The company received Rs 647 crore (Rs 6.47 billion) on exercise of stock options by employees and cash equivalents including liquid mutual funds increased by Rs 1,612 crore during 2005-06. The sprawling Infosys campus in Bangalore is the symbol of India’s infotech growth. ‘A small percentage of a growing pie is better than a large part of a shrinking pie. Every Point has THREE Sides; your Side, My Side and The Right Side. One night there was a woman at the airport who had to wait for several hours before catching her next flight. While she waited she bought a book and a pack of biscuits to spend the time. She looked for a place to sit and waited.She was deep into her book, when suddenly she realized that there was a young man sitting next to her who was stretching his hand and, with no concern whatsoever, and grabbing the pack of cookies lying between them. He started to eat them one by one. Not wanting to make a fuss about it she decided to ignore him. The woman, slightly bothered, ate the cookies and watched the clock, while the young and shameless thief of biscuits was also finishing them. The woman started to get really angry at this point and thought “If I wasn’t such a good and educated person, I would have given this daring man a black eye by now. “Every time she ate a biscuit, he had one too. The dialogue between their eyes continued and when only one biscuit was left, she wondered what was he going to do. Softly and with a nervous smile, the young man grabbed the last biscuit and broke it in two. He offered one half to the woman while he ate the other half. Briskly she took the biscuit and thought, “What an insolent man! How uneducated! He didn’t even thank me!” She had never met anybody so fresh and sighed relieved to hear her flight announced. She grabbed her bags and went towards the boarding gate refusing to look back to where that insolent thief was seated. After boarding the plane and nicely seated, she looked for her book which was nearly finished by now. While looking into her bag she was totally surprised to find her pack of biscuits nearly intact. If my biscuits are here, she thought feeling terribly, those others were his and he tried to share them with me. Too late to apologize to the young man, she realized with pain, that it was she who had been insolent, uneducated and a thief, and not him. How many times in our lives, had we known with certainty that something happened in a certain way, only to discover later that it wasn’t true? How many times has our lack of trust within us made us judge other people unfairly with our conceited ideas, often far away from reality. That is why we have to think twice before we judge others. Let’s always give others the benefit of the doubt before we think badly of them. her view of thinking in spite of lot of external factors. To understand either the Other’s Side or the Right Side, one needs to leave His Side…….. .. When Colonel Sanders, 65 years old, he received his first social security check of US $99. He was broke. His only asset was a secret chicken recipe. 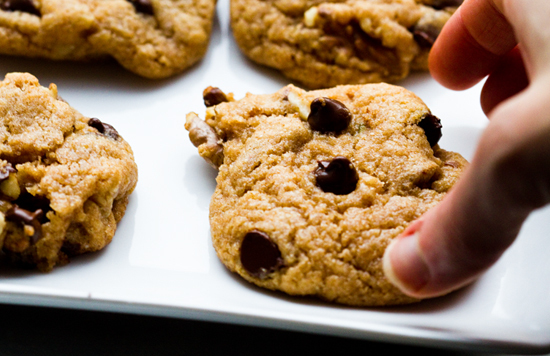 He left his home in Kentucky and traveled to the many states in the US to sell this recipe. He offered his secret chicken recipe to many restaurants for free. All he wanted in return was a small percentage of the sales. However, he was shown the door by many restaurants. ” Get out of here. Who wants a recipe from a white Santa Claus?” the restaurant owners shouted, referring to the dress code Sanders adopted: a white shirt and white trousers. Over 1,000 restaurants rejected his offer. How many of you would have quit after making one or two unsuccessful sales calls? On his 1,009th sales visit, one restaurant finally accepted his offer. Today, Kentucky Fried Chicken outlets and fatherly Colonel Sanders’ statures are found all over the world. He has changed the way the world ate chicken- finger-lickin’ good!